It’s a widely accepted fact that the cash envelope system can turn your money situation round if done correctly. Gone will be the reliance on credit cards and loans. Instead in comes the more slightly difficult act of handing over your hard earned cash. Using a cash envelope wallet allows you to track your money on a daily basis and never use the wrong cash category for the wrong item. Always having your envelopes to hand is key to operating the envelope system successfully. And a decent wallet helps you do just that. First Things First – Will The Cash Envelope System Work For Me? 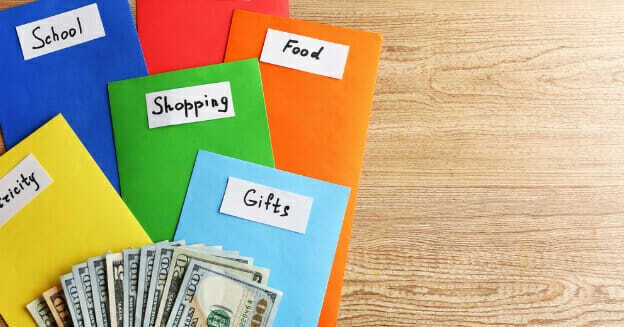 Create categories for spending you would otherwise make in cash or on a card. So your wallet needs to be sturdy to stand the test of time and being constantly used. Paper envelopes really don’t last and look super shabby super quickly, trust me. Why Spend Money On A Cash Envelope Wallet? Truth be told there is no need to spend money on a cash envelope wallet. Plain white envelopes are perfectly fine and you probably have spares lying around at home or in your stationery pile of you are organized. I used a diy cash envelope wallet for the first couple of months as I didn’t think it made financial sense to be buying something when I was trying to control my spending. If you are wondering what the diy cash envelope wallet is – it’s just plain old envelopes you have lying around the house! Indeed I reused the same envelopes as I saw no necessity to use new ones each week. I just crossed out the previous week’s budget and wrote in the new one. However, after a while I started to feel a bit cheap although I know I shouldn’t have. After all, how I manage my money is entirely up to me and I shouldn’t worry about what others thought. But I did and more so was the feeling that I just didn’t like those envelopes. I like a bit of color and pizzazz in my life and as I was only spending money on essentials there wasn’t a huge amount of pizzazz going on. So I decided to invest some of the money I had saved using the cash budgeting system on a really nice cash envelope wallet. I figured if I had a wallet I really liked and was proud of I would feel better about using it long term and be happy to pull it out at the checkout. So I invested in a cash envelope system wallet from Amazon and it was the best thing I did. I loved that wallet and it helped me stick to cash budgeting long after I think I would have given up if I’d stuck to boring manila envelopes. This is the most flexible and practical of cash wallets. With 8 different slots for your cash budgets, and labels you can customize there is plenty of room for all your cash budgeting categories. The 8 slots are then secured in a zippered compartment so no worries about losing the cash if you are opening your wallet to show your ID card or get your phone out. There is also a separate zip coin purse on the back. each slot not zippered so coins held within these slots have potential to get mixed up if wallet is shaken about. I love that these fabric cash envelopes wallets are handmade by someone who designed the style herself having used a cash budgeting system for a long time. Made from laminated cotton and 6 tabbed dividers means this will be able to cope with being used daily. doesn’t ship to the UK so I can’t buy it! This wallet comes with pre-printed and blank labels so you can categorize the inserts according to your budget categories. It also has a handy wrist strap that many reviewers absolutely love, which can be tucked right away when you don’t want to use it. Now this is me – I love a bit of pink even if I think I am a bit old for it! It has 6 zippered pockets so easy to keep all your coins for each category separate. Made from oilcloth means its wipe clean and you’ll be hard pushed to get it dirty. You can label each pouch and change the labels if you need to, helpful when you are not a cash budgeting seasoned pro. This is slightly larger than some of the other wallets but that’s not a negative as you know you’re going to be able to fit phone, cash, multiple envelopes and everything else that seems to find its way into your purse! I’m not always a fan of black purses and bags as I prefer a splash of color but this wallet has a lovely pink strip coursing across it and overall it looks extremely stylish. You can buy extra cash envelopes by Divvy Up described below so if the 5 that come with this wallet aren’t enough you can add to your collection. it ships to the UK! 5 of these come with the Divvy Up wallet above but if you want more envelopes or to use them with another purse then these are just the ticket. They come in 5 different colors which makes reaching for the one you want easy and quick. They have mini magnets in them so they stay closed easily. Using these with a large purse or bag means you can leave at home the wallets you don’t need and reduce the risk of dipping into a category when you don’t want to or shouldn’t. Alternatively you can use these as a pretty way to give cash at Christmas. These are a great budget range if you don’t want to carry a whole new wallet/purse. With 12 envelopes you’re never going to run out of categories. A nice bonus is they include budget sheets which fit neatly inside each envelope to help you track your spending in each category. They’re made from sturdy, thick, laminated paper so should last a decent amount of time with space to label each one. If you are a crafty soul then you may well be thinking – why buy when I can make? And I would agree with you! Making your own cash envelopes and possibly the wallet to hold them is a great way to save more cash and I envy you if you do so. I found this simple fabric cash envelopes tutorial over on SewVeryCrafty. These fabric envelopes allow you to run riot with your fabric choice and you don’t need to limit yourself to using them for your cash budgeting. You can make extra and use them as gift envelopes as per SewVeryCrafty’s original intention. 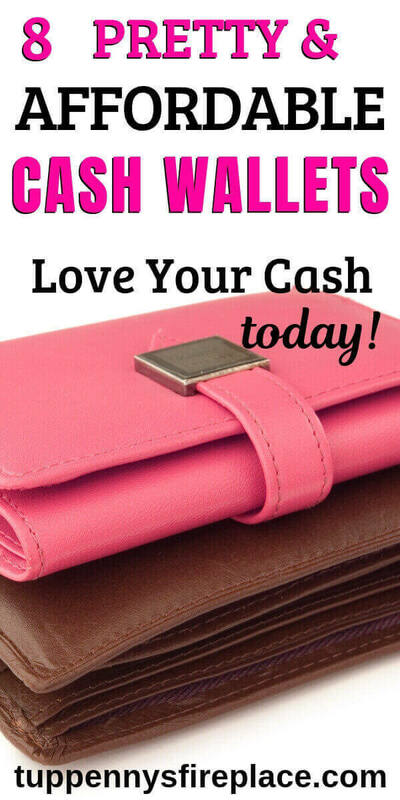 Whichever cash envelope wallet you choose, whether to splash a little cash or make you own. 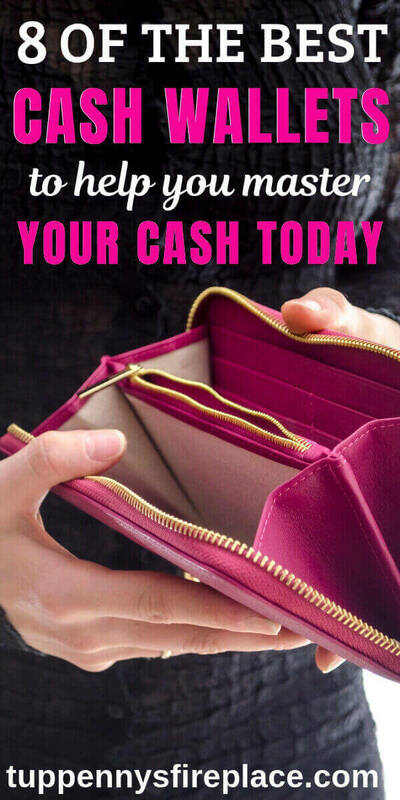 Enjoying the use of your wallet and envelopes will really help you enjoy the advantages of your cash budget and help you stick with it long term.